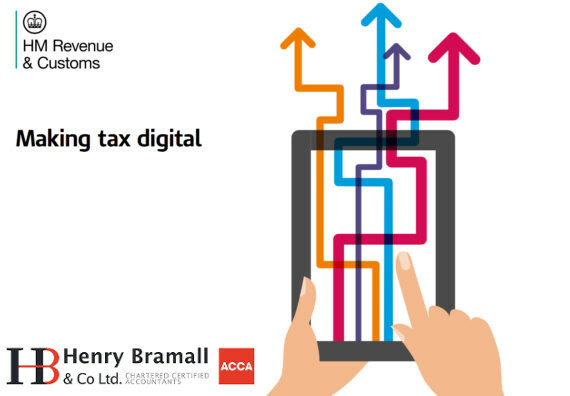 Due to the demand of an ever-evolving digital world, HMRC will soon be implementing digital quarterly tax returns. As part of MTD, businesses registered for VAT with a taxable turnover above the VAT registration threshold of £85,000 will need to keep VAT records digitally and file their VAT returns using MTD compatible software. This will start from their first VAT period starting on or after 1st April 2019. HMRC’s new initiative will revolutionise the UK tax system and ultimately bring an end to self-assessment. Henry Bramall has partnered with Sage to offer you a cloud bookkeeping system that will seamlessly integrate with new regulations, and, coupled with Henry Bramalls expertise, will provide peace of mind for you as the new regulations come into effect. If you are worried about how MTD will affect you, please get in touch using the form below, or by phoning 0114 258 5525, and see how we can help. Please fill out your contact information and your enquiry into the description box below, and we will endeavour to reply to you as quickly as we are able.